This addition to the Designer DIY section was a request from my husband. We saw it in the store and he immediately walked over to it and said “how amazing would this be, it’s like laying on a warm sweater!”. After looking at the price tag (a steep $255) I told him I’d make him the same one for much less. I already had the Polyfill and used scrap silk for the back so the only cost to me for this project was the yarn, which cost $5.99. This project is super simple and I think it’s a great departure from plain old fabric throw pillows. 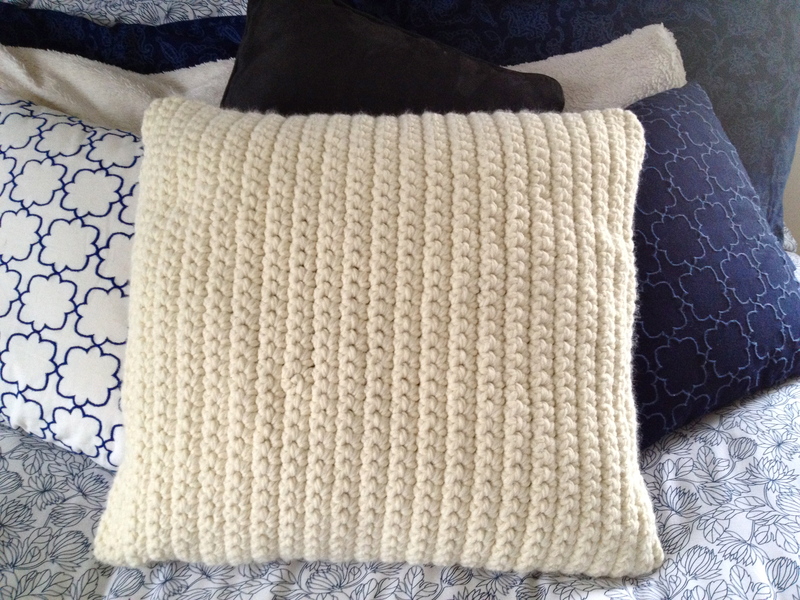 Crochet a square in whatever size you want… the Alicia Adam’s pillow is 18″x18″, I made mine 24″x24″. Next, cut your silk into the same size and pin the right sides of the silk and the crocheted panels together. 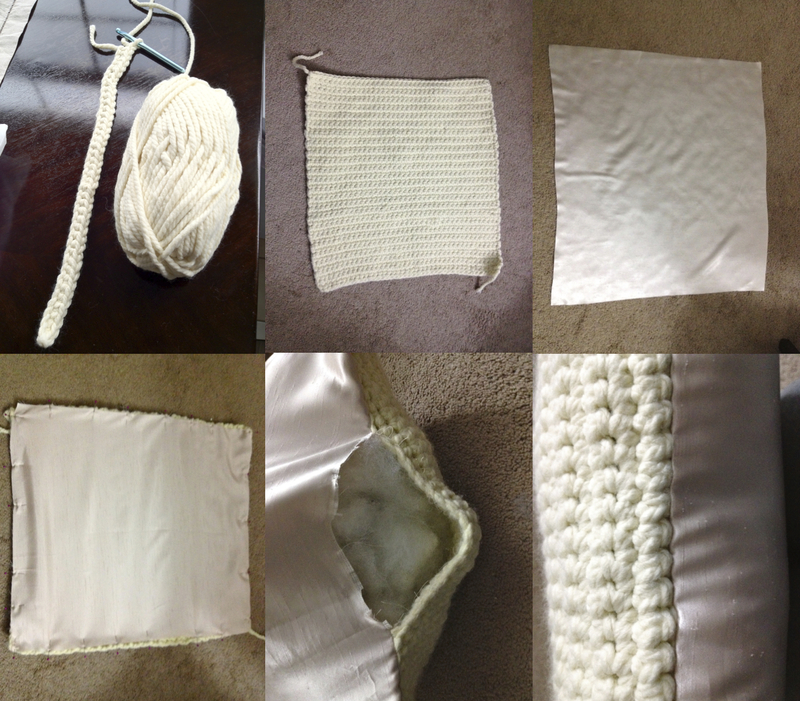 Sew around all sides, leaving about a 4″ gap in the middle of the bottom. Flip the pillow right sides out and stuff with the Polyfill. Slipstitch the opening closed. This pillow is Dry Clean only regardless, but if you wanted to make it a removable cover just sew an invisible zipper along the bottom and insert a pillow form instead of the Polyfill. The actual Alicia Adams Pillow is a knitted one, but I like the look and ease of crocheting… you could do it either way! Oh, very nice Danielle. Looks so cozy!